Mafia Spies revolves around the outlaw friendship of these two mob buddies and their fascinating world of CIA spies, fellow Mafioso in Chicago, Cuban exile commandos in Miami, beautiful Hollywood women, famous entertainers like Frank Sinatra’s Rat Pack in Las Vegas, Castro’s own spies in Havana and his double agents hidden in Florida, J. Edgar Hoover’s FBI snooping, and the Kennedy administration’s “Get Castro” obsession in Washington. Thomas Maier is among the first to take full advantage of the National Archives’ 2017–18 release of the long-suppressed JFK files, many of which deal with the CIA’s top secret anti-Castro operation in Florida and Cuba. 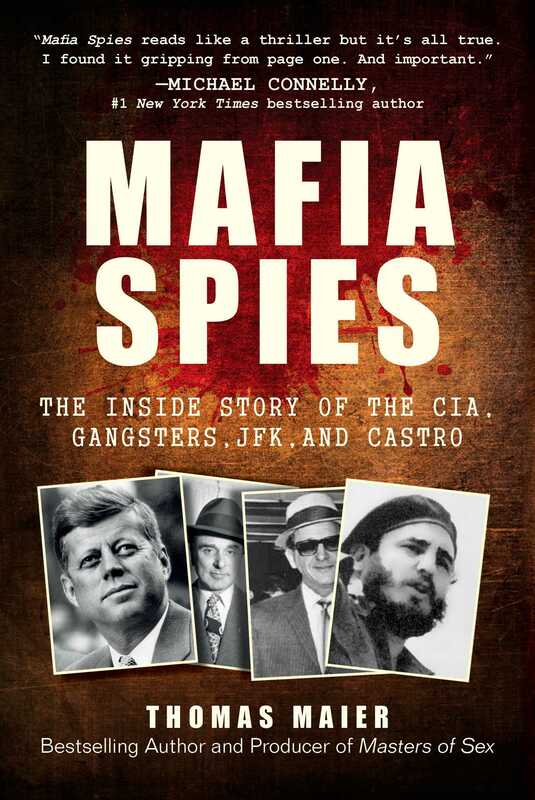 With several new investigative findings, Mafia Spies is a spy exposé, murder mystery, and shocking true story that recounts America’s first foray into the assassination business, a tale with profound impact for today’s Trump era. Who killed Johnny and Sam—and why wasn’t Castro assassinated despite the CIA’s many clandestine efforts?